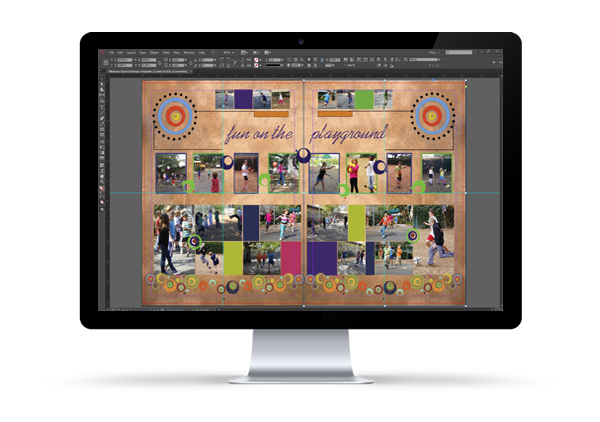 Memory Book Online™ Tips To Make Your Job Easier For the best yearbook results, check out our design tips page. Choose to use our yearbook design programs to create your own art or have one of our expert designers create one for you. View our yearbook design tips for helpful ideas, or check out theme concepts for yearbook themes and coordinating backgrounds. We offer five programs so you can choose the one that’s right for you! This is our most popular yearbook design program! 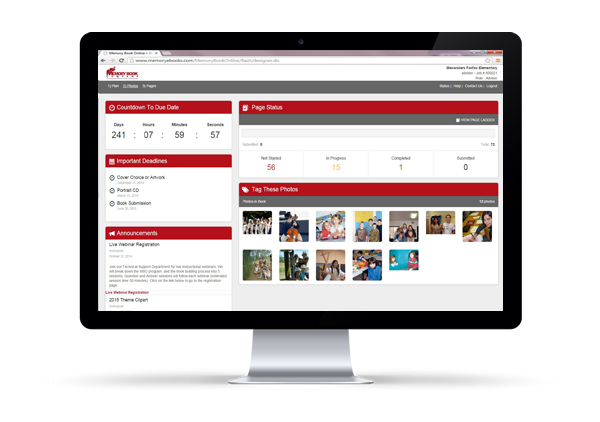 Not only do you get to design your yearbook online, but multiple users also can work on it at the same time, making it easier than ever to create a memory book to treasure. We offer hundreds of page layout templates, more than 300 fonts, and lots of automatic functions. Uploading and organizing photos is a snap, and with our amazing Image Share feature, parents can upload photos, too! Memory Book Online™ features drag-and-drop page building, plus Automated Portrait Flow for simple, uniform photo and name placement. Each account receives a secure login for the advisor and a separate one for staff. If you like scrapbooking, you’ll love working with this program! 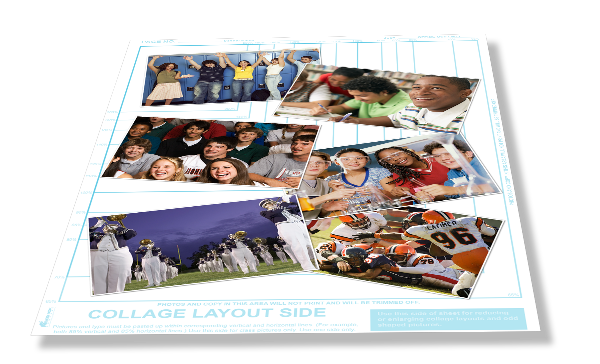 We’ll send you free yearbook layout sheets and tape and you can create a memory book your students will cherish. Send us the finished pages and we’ll scan and reproduce them exactly as you created them. 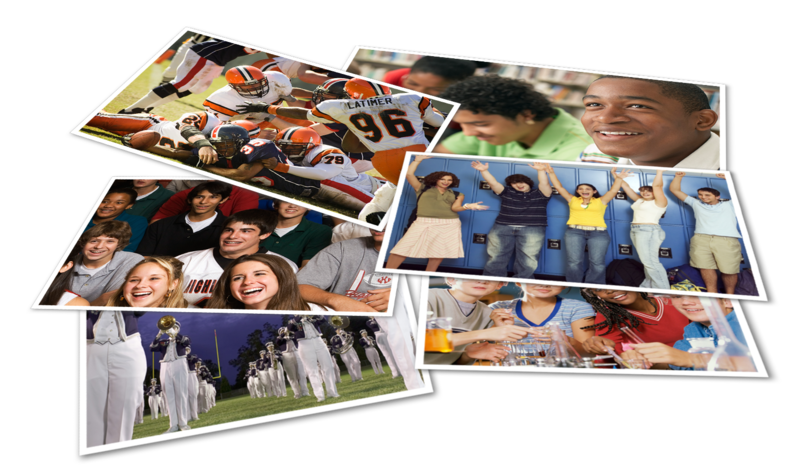 You can either submit class photos on a CD or send us traditional photographic prints. That’s all there is to it! This program is a great choice if you have expertise in third-party software. You have the freedom to design your pages with programs you’re already comfortable using, like InDesign®, QuarkXpress® or Microsoft® Publisher. When you love the way your yearbook looks, submit a print-ready digital file, and we’ll take it from there. You can either submit class photos on a CD or send us traditional photographic prints. Submit your own creative yearbook designs! With this design program, we set all the type for your book while you use your scrapbooking style to let your creativity blossom! We send you free layout sheets and tape; just send us the completed pages and we’ll scan and reproduce them exactly as you created them. Submit class photos on a CD or as traditional prints, and you’ll receive a memory book your students will treasure. This is the easiest way we know to create an outstanding yearbook! We’ll custom-design your memory book using your photos and instructions as our guide. Submit class photos on a CD or as traditional prints, send along a class list, and our graphic designers will create a one-of-a-kind memory book for you.